The wide range of fuels derived in some form or other from biomass are gaining fame and popularity. Although there may be some forms of biofuels that will make sense at some point in the future, especially if produced and used locally, regarding this form of power as the Holy Grail of green energy is a futile if not dangerous delusion. There is much debate about whether bio fuels are actually better for the environment: Ethanol derived from sugar and corn emits less CO2 per liter, but it creates less mileage for the vehicles that use it, so the CO2 savings are already lost. And the equation does not consider the energy input needed to grow, harvest and process these crops. In fact, most experts argue that when considering the fuel needed for farming, fertilizing, collecting, processing and transportation of crops for bio fuel, this form represents an actual net loss of energy. While fossil fuel forms exist in large pools storing the concentrated power collected by living organisms over millions of years, crops contain the only the previous few months of energy inputs, mainly by the sun, spread over a wide field. Concentrating this form of energy requires more energy input, making it less efficient. The argument that crops, while growing, absorb CO2 and burning them just returns the captured CO2 back to the atmosphere is not acceptable. 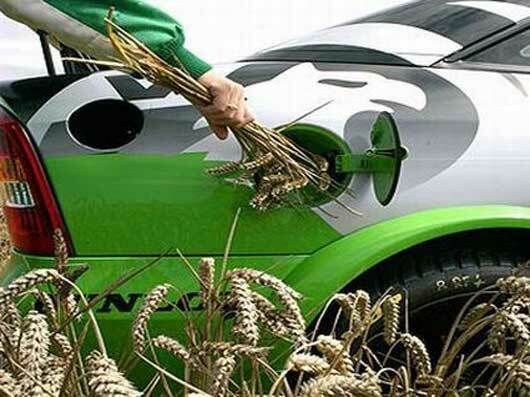 Biofuel crops will have to replace existing vegetation and trees, as there are few new arable areas that will answer the huge demand for land that a growing industry will create. So the net absorption of CO2 will not be changed by growing biofuels. In fact, the danger is that large areas of rainforest (which absorb vastly more CO2 than monocrops) will be cleared for biofuel production, as is already happening in the production of palm oil in Indonesia. Brazil, already a leader in bio fuel production, claims that it is devoting only a small fraction of its land and farm area to biofuel production, but its main biofuel companies are in negotiation with giant American energy interests for production of more crops for biofuel, and the area needed for growing more crops can come only at the expense of more rainforest. The most pernicious effect of biofuels, however, is the wrong message it is sending to consumers: the message that we now have a green alternative energy source, so it is alright to keep buying large SUVs, and continuing the energy wasting lifestyle of sprawl, parking lots, box stores and shipping cheap goods around the world to satisfy our consumer lifestyle, something that has to stop if we want a clean and sustainable future.